Every year, the Indian River County 4-H Horsemasters host a Valentine Open Horse Show as our fundraising project. 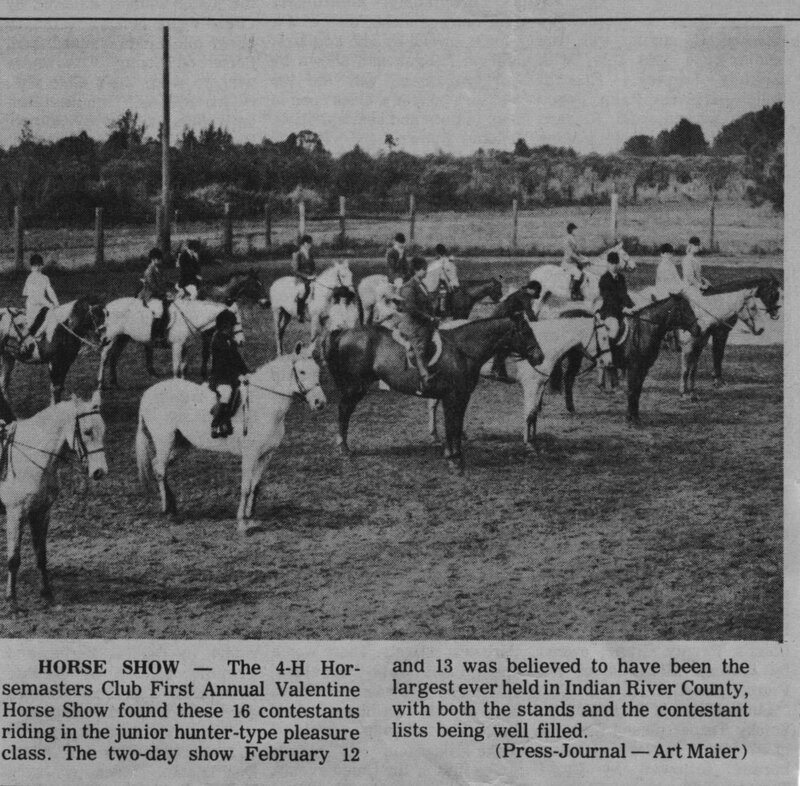 Sunday, February 3rd, 2019 will mark our 48th annual horse show. For a peek at our 2016 show, enjoy this video, created by one of our alumni. Our Valentine show includes both Western and English classes, a host of awards and prizes, and, quite possibly, the best Sloppy Joes you've ever tasted! To register for our show, you will need to submit one Class Entry Slip for each class entered, a Show Fee Sheet, and a current, negative Coggins. You may print the necessary forms by clicking on the links below. The Show Bill is included for your reference. Checks may be made payable to the University of Florida (memo: IRC 4-H Horsemasters). A newspaper clipping of our first Valentine Show, circa 1971. A similar photo, taken at our 45th annual show in 2016. The tradition continues!